In today’s digital business world, things move fast. You can’t underestimate the importance of speed in any aspect of your operation. If you want to keep your business moving during an office move, downtime isn’t an option. But you can’t expect to pack boxes at the last minute and randomly load furniture into the back of a truck. If you’re preparing for an office move, this is the perfect place to start. 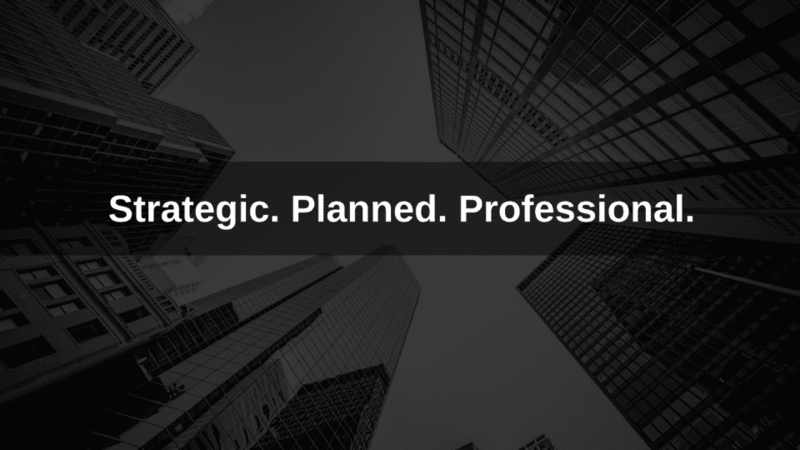 Here are four tips that will help you systematize prepping and packing your office, so you and your employees can enjoy a stress-free move. And an easier set-up in your new location. Clear every surface from desks to walls, and empty furniture before moving day. Sort, recycle and toss anything you don’t want to take to the new office. Then empty your bins before leaving the office. Take personal items home. Your company and your office movers will not be responsible for misplaced personal items during an office move. Neatly pack, bag and label items as you go. Anything that fits into a moving box must be packed into a moving box. Assessing your office contents ahead of time means you’ll be able to order more boxes if you need them. PRO TIP: Leave space in the top box for the final few items you need to access until moving day. Watch this short video to learn the safest, most effective way to pack and unpack your workspace. You’ll learn how to handle everything from desk drawer contents to large items, furniture and files. Everything being moved must be labelled so your office movers can clearly identify what to take and where to place it in the new location. This includes each piece of disassembled office furniture, IT bags, computers, shelves, and other furnishings. Everything. Place labels on the front facing end of boxes and crates, and in obvious areas on furniture, where they’re easy to see. 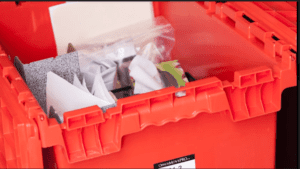 Use the tools provided by your office movers – from crates to accessory bags and labels. 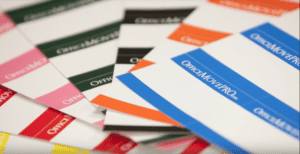 Use the pre-printed, colour-coded labels provided by your moving company, like the ones below from Office Move Pro. Or clearly print a destination reference in black marker on each label. Our E-Crates are an easy, effective and environmentally friendly way to pack your office contents. Simply place a wheeled cart on the floor, then add your first box. Roll it near to the packing area. Once the box is full to within an inch of the top, close the lid and stack the next bin on top. Repeat the process to no more than four crates high. Now you’re ready for office movers to strategically, carefully and efficiently relocate your items. Share this article with your staff. And Subscribe to our YouTube channel for more videos on preparing for an office move.